There is a growing danger lurking in the pet owner’s kitchen: a sugar substitute known as xylitol. At the beginning of the century, only a few cases of xylitol toxicity in pets had been reported. These days, animal poison control centers receive thousands of calls across North America about accidental xylitol poisoning in pets, with surely many more going unreported. 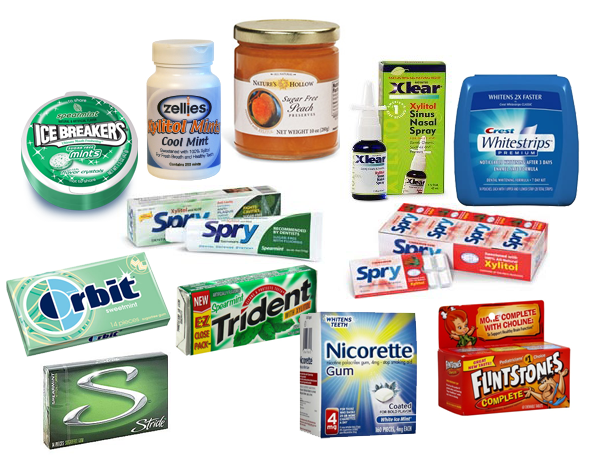 Xylitol is a natural sweetener found in sugar-free gum (including nicotine gum), mints, candy, baked products and beverages. It is also found in some oral rinses, toothpastes and chewable sugar-free vitamins. What Can Xylitol Do to Your Pet? Although it is well tolerated (and even beneficial) in people, xylitol can result in severe poisoning in dogs, and possibly in cats, in as little as 15 to 30 minutes. Xylitol poisoning in pets results in a rapid increase in insulin, which leads to a drop in blood sugar (hypoglycemia). Depending on the dose ingested, clinical signs of hypoglycemia can include vomiting, difficulty walking, weakness and lethargy. Severe signs include collapse and seizures. With higher doses, xylitol toxicity can also cause severe, irreversible liver damage. Clinical signs of liver failure may not be apparent for one to two days, and include vomiting, black-tarry stool, coma, increased liver enzymes, jaundice, clotting problems, coma and even death. Why Such a Variety in Symptoms? But if 250 mg/lb is swallowed, severe liver damage or even death can occur. If you suspect or know that your pet ate a product containing xylitol, the first thing you should do is to give pet food or a source of sugar (Karo syrup or pancake syrup). Never induce vomiting without consulting your veterinarian or an animal poison helpline first. 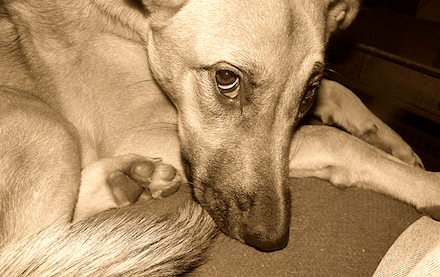 If your dog is hypoglycemic, causing vomiting can make her much worse. How Soon Should You Go to the Vet? Right away. When it comes to any type of poisoning, the sooner you identify the poison and treat it, the better the outcome. Seek immediate veterinary attention and bring your pet to your family vet or the emergency clinic as soon as possible. Time is of the essence. Once you are at your veterinarian’s clinic, blood work should be performed right away to see how low the blood sugar is, and to evaluate the liver enzymes. Blood work may need to be repeated several times a day to monitor the status of the pet. Treatment will depend on the timing of ingestion, the time to decontamination, the amount of xylitol ingested by the dog or cat, the clinical signs seen, and the results of the blood work. Early on (i.e., before signs even occur), vomiting may be induced by your veterinarian, provided your pet isn’t showing any symptoms; this will help decrease absorption of xylitol and further poisoning. The use of IV fluids with added sugar may be necessary. Also, if your pet got into a “liver toxic dose,” the use of liver protectants such as S-adenosylmethionine (called SAMe in short), may be necessary (typically for one to two weeks). With severe cases of xylitol poisoning in pets, liver failure and clotting problems can occur. In these cases, the use of plasma transfusions, vitamin K and other medications may be necessary. The prognosis is related to the amount of xylitol eaten, the size of the dog and the timing of treatment. With mild signs (e.g., low blood sugar) and prompt treatment, the outcome is typically good. With more severe signs (e.g., severe liver damage, clotting abnormalities, jaundice) or delayed treatment, your pet may die. How Can You Prevent Xylitol Toxicity? “Educate yourself about where xylitol is found,” says Dr. Justine Lee, DVM, DACVECC, a board-certified emergency critical care veterinary specialist and associate director of veterinary services at Pet Poison Helpline. “Read the labels of any sugar-free products in your kitchen, your bathroom and your purse. And either ban these products from your house and your purse or secure them very carefully to prevent your pets from ever getting into them,” she advises. To our knowledge, other sweeteners like saccharin, aspartame, malitol, sorbitol and sucralose are not toxic in pets, as long as they are not ingested in significant amounts. If you’re going to chew gum and own pets, make sure xylitol isn’t found in your gum or baked goods! 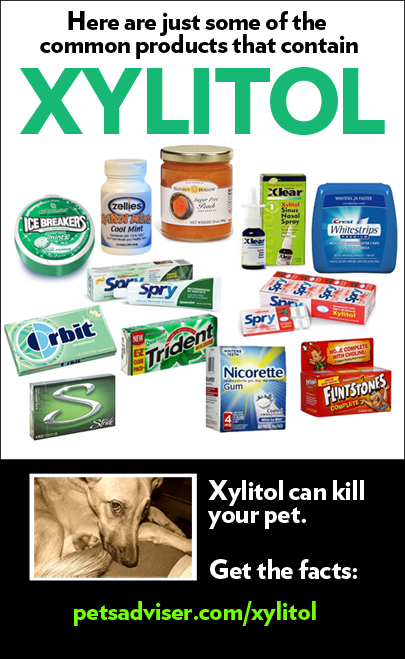 To learn more about xylitol and which products it can be found in, visit xylitol.org or petpoisonhelpline.com/poison/xylitol/. If you suspect your pet may have ingested anything poisonous, contact your veterinarian or an animal poison control by calling 1 (800) 213-6680. You can also visit petpoisonhelpline.com for more information.